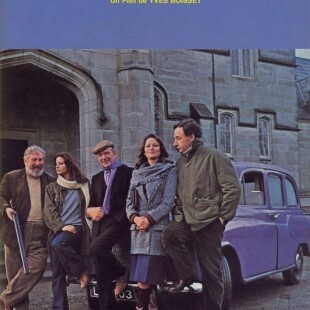 Based on book Le Taxi mauve (A Purple Taxi) by Michel Deon written in 1973,Fred Astaire, Phillipe Noiret and Peter Ustinov all having a great time with Charlotte rampling and Edward Albert, In front of camera. A wonderful story of love and sadness in one? Peter Ustinov tries to marry off his beautiful daughter to Edward Albert in order to fund his equestrian center dreams, lots of drinking, fighting, card playing and craic. Charlotte Rampling ..